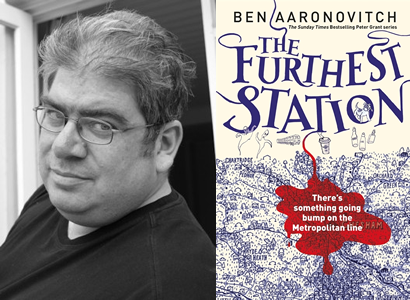 Join us for an evening in the company of Ben Aaronovitch as he talks about his bestselling PC Grant series which started with Rivers of London and after six books sees the first novella, The Furthest Station, published in paperback on 8th March. We’re big fans of this brilliant urban fantasy series and look forward to welcoming Ben to Oswestry to tell us more about the adventures of his iconic man in blue. Tickets: £7 (£3 redeemable against a signed copy of any book in the PC Grant series). Tickets available from the bookshop, or purchase online (with booking fee).